The new Ford S-Max is a five door “sport activity vehicle” that is somewhat of a middle ground between a small minivan and a big compact wagon with an exterior design that makes this car look like a big, stretched out Fiesta wearing a serious dress-up package. 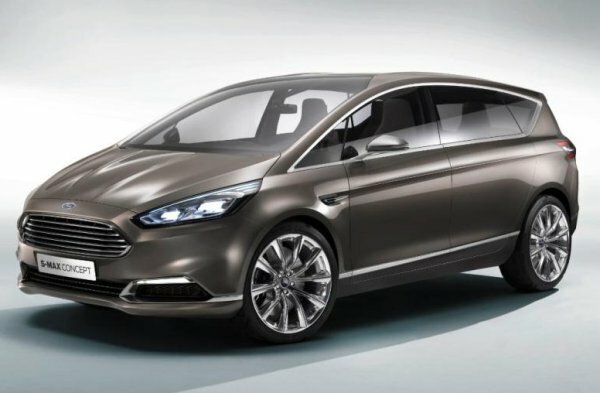 Although the S-Max shares a styling language with many of the current Ford family vehicles, the face looks very similar to that of the Fiesta while the rear end looks a great deal like the current Fusion – excluding the fact that this is a five door model. Not surprisingly, the Evos styling language fits the new Ford S-Max Concept very well and to allow this new five door to differentiate itself from the smaller Fiesta across the front end, the S-Max wears unique LED trimmed headlights and a grille/fascia combo that features lots of glamorous looking silver trim. When you factor in the copious levels of silver trim around the sides, in the wheels and across the back end – the S-Max looks like a model that would be a fitting addition to the new Vignale Ford sub-brand that is aimed at the upscale market. Of course, this Frankfurt concept also has some features that probably wouldn’t make it to an affordable production vehicle like the thin pedestal side mirrors, the slotted brake rotors and – sadly – the great looking high tech headlights. "When Ford unveiled the SAV – sport activity vehicle – Concept in 2005 it immediately captured the public's imagination and inspired us to produce today's S-MAX, a true white space vehicle," said Barb Samardzich, vice president of product development for Ford of Europe. "Our new S-MAX Concept takes that unique appeal to the next level with Ford's latest design and technology innovations for a new generation." 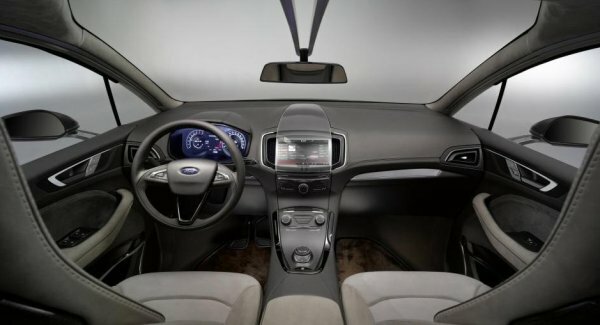 On the inside, the Ford S-Max Concept is packed full of technology including the predictable Ford Sync and MyFord Touch systems but it also includes some intriguing gadgets like an integrated heart rate monitor and blood glucose level monitor. Those features would be ideal for an owner with a heart condition or someone who has a family member with diabetes but these are two features that I wouldn’t expect to see in a production vehicle any time soon – if for no other reason than the cost of adding them relative to the usefulness to the broad consumer market. Aside from the high tech goodies, the S-Max sports a collection of great looking bucket seats in the front and rear with a center console in the back that folds out to form the rear middle seat. There is also tons of leather throughout the interior, dual sun roofs and even a couple monitors mounted in the back of the front seats to keep the kiddies entertained on long drives. 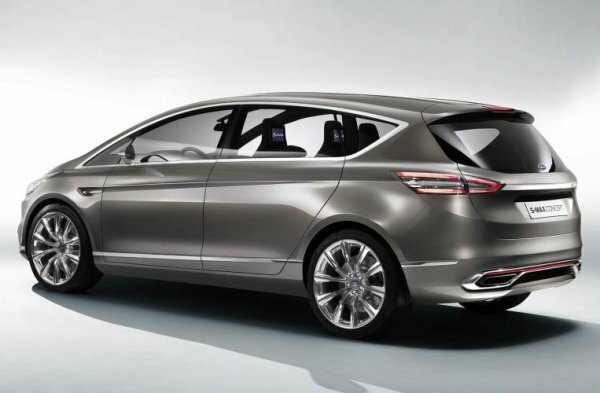 The Ford S-Max Concept is powered by the same 1.5L EcoBoost engine that is offered in the Ford Mondeo in select non-US markets. While the power output of this mill under the hood of the S-Max have not been announced, this same engine offers 178 horsepower and 177lb-ft of torque in other uses. That should be plenty of power to get this roomy five door moving while also returning the great fuel economy that has become the norm for all of the Ford EcoBoost engines. 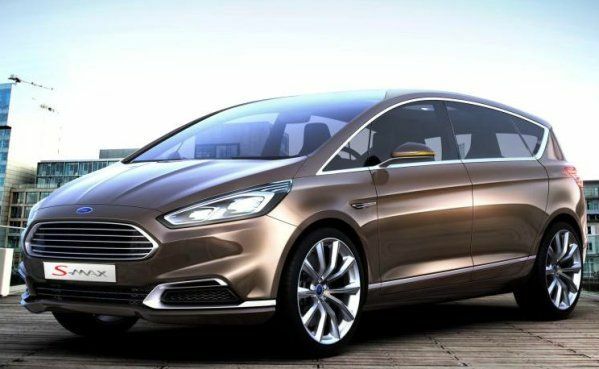 Unfortunately, the new Ford S-Max Concept has been designed for the European market so even if this sleek concept family truckster does become a production reality – it probably isn’t headed for the US market. The American auto market isnt all that keen on station wagons or things that resemble minivans (although Chrysler, Toyota, Honda and Nissan have no problem selling them) while the European market eats them up. Because of that, the S-Max seems like it could be the next big offering from Ford overseas but this may be one vehicle that doesn’t travel from Europe to the US as part of the One Ford plan. Then again, the Ford C-Max started as a European model that has been shipped to the US with a good amount of success so if the US market begins to look more favorably upon wagon/minivan hybrids like the one shown here – the S-Max might eventually end up in US dealerships…just probably not anytime soon.